Schoenberg’s String Trio is well-nigh universally considered not only one of the composer’s greatest works but one of the finest of the genre (a notoriously difficult combination of instruments). So it sounded here in this outstanding performance from the Trio Zimmermann. Febrile, disjunct, and yet finding ultimate unity in that state, it unavoidably brings – and here brought – late Beethoven to mind; this is music that, in Michael Cherlin’s words, ‘is full of abrupt and striking changes of texture and affect as musical ideas are broken off, interrupted by other ideas that are themselves interrupted’. It proved hyper- in almost every respect: almost too much to listen to, yet so commanding of one’s attention that one can do no other. Strange, unheimlich ghosts of old Vienna danced before us, ghosts in anything other than a machine. Schoenberg’s Lisztian form of several-movements-in-one, familiar also from Schoenberg’s First Chamber Symphony, achieved both further compression and further relief in a performance that made every phrase, indeed every note count. 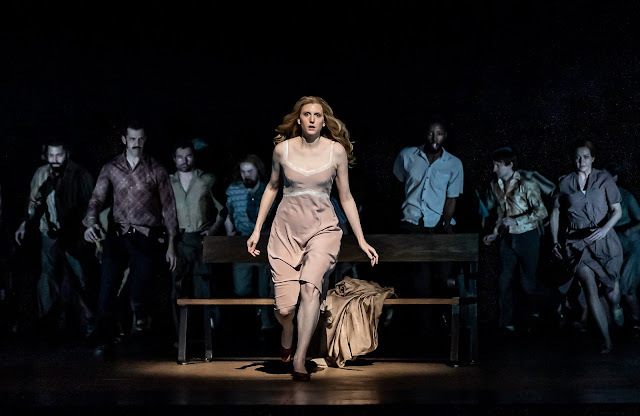 The difficulty of the medium as such never really registered; rather, this was a challenging, all-absorbing musical drama. And drama it was above all, reminding me of words Schoenberg spoke concerning this Fourth String Quartet, yet of relevance here too: ‘I said this time I must compose like Mozart does it, without looking at all whether I see relations or not, juxtaposing ideas. … The characteristic for Mozart is this interruption, I would not be sure to contend that this is a higher or a more primitive technique [than Beethoven]. It is difficult to evaluate this aesthetically. I think it derived from his dramatic technique.’ Here, it surely derived from Schoenberg’s too. Bach’s Goldberg Variations have received a number of transcriptions and arrangements. 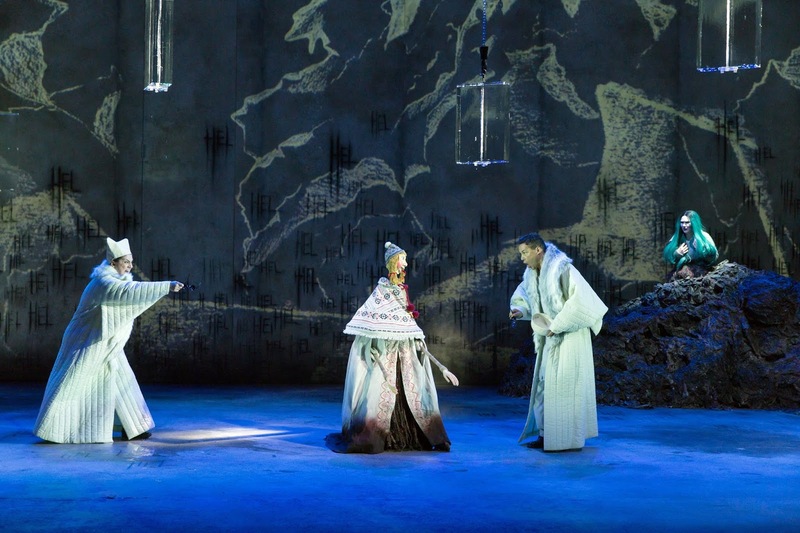 Some have opted for supposedly Baroque forces and formations – which almost seemed hinted at in Trio Zimmermann’s performance of the opening ‘Aria’, less so elsewhere. Others have taken advantage of ‘modern’ possibilities, ranging from one of the earliest in 1883, by Josef Rheinberger (revised by Reger), for two pianos, to the 1938 orchestral version by Polish dodecaphonist Józef Koffler. More recent contributions have included two for string trio, from Dmitry Sitkovetsky (1984) and Federico Sarudiansky (2010). Sitkovetsky’s version came at a time of peak ‘authenticity’, when certain voices would frown upon any such reimagination. Following his 2009 revision, he recalled: ‘When I first wrote my transcription of Bach’s “Goldberg” Variations for string trio, in 1984, it was both a labour of love and an obsession with the 1981 Glenn Gould recording. […] Generally, at that time, transcriptions were out of fashion and I recall that my own colleagues and managers were sceptical about such an audacious idea. Since then, my transcriptions have been played all over the world and moreover they have opened the floodgates of new interpretive possibilities for the piece, which have included solo harp, wind instruments of all kinds, saxophone quartets, Renaissance viols and even a fascinating concoction of Uri Caine, among many others.’ First having played Sitkovetsky’s edition, the players of the Trio Zimmermann subsequently decided to join this merry throng, offering an alternative to Sitkovetsky, in a version ‘which is as much as possible neither an arrangement nor a transcription, but basically an unveiling of Bach’s score and its genius’. I am not entirely sure I follow that meaning, but there was certainly much to relish in the performance. Following that curiously – I assume deliberately – ‘white’ Aria, something more Classical emerged: doubtless as much a matter of the ‘Classical’ instruments as performance, yet a matter of that too, I think. Warmly expressive, highly variegated, never lapsing into too-easy Romanticism, this was throughout a performance in which procedures were clear – one could almost see, Schoenberg-like, inversions in an imaginary score, as well as hear them – yet also placed within a familiar, if never hackneyed schema of musical history: viols occasionally behind it, especially in the minor mode, the (once-)central Austro-German tradition in front. Endless invention was experienced, yet so was the contemplative emotion of Bach’s Passions. Canonical variations maintained the integrity of their own progression, yet also played a crucial role in punctuating their companions. There was sadness to Wanda Landowska’s ‘black pearl’ (no.25) without becoming overwrought; perhaps it might even have been ‘blacker’ at times. Whatever the truth of that, there was a splendid sense of release to be felt in its successor, no.26, treated to richer, not necessarily more Romantic, tone, as if Purcell were being recomposed before our ears. Bach moved towards conclusion in very different ways, ever closer, yet ever reinventive, the restatement of the Aria unquestionably an arrival rather than a mere return. A strange concert, this, in which the Barbican Hall proved Mahler’s enemy in particular. In a half-reasonable world, London would have a decent orchestral concert hall; let us hope that plans to give the London Symphony Orchestra a new home will come to something sooner rather than later. The LSO sounds transformed when heard elsewhere – even at the more than problematical Royal Albert Hall for the Proms. Other orchestras, even when, like the BBC Symphony Orchestra, they play at the Barbican with some regularity, often experience greater difficulties. Woodwind playing in particular here sounded distinctly odd, even crude, at least from where I was seated; the sound could not remotely have corresponded to how the musicians were ‘really’ playing. A new hall cannot come soon enough. The two pieces in the first half suffered less. Mozart’s Haffner Symphony had an excellent start, the first movement cultivated, warm, nicely phrased, and directed – if occasionally a little fussy. Its tonal and motivic drama registered with strength and meaning, having one marvel at the composer’s concision. The Andante had many similar virtues, yet ultimately Sakari Oramo’s vision had one missing both warmth and charm. It was very much on the fast side: not necessarily a problem in itself, had it yielded more. This was Mozart progressing efficiently rather than having us enter a garden of delights. If the minuet and trio were at times also a little plain, their direction was clear. The finale, alas, was driven so mercilessly as to lose much of its humanity. It can be taken as fleet as you like, but speed should never be an end in itself, still less a cause for hardening. If only the three succeeding movements had been at the same level as the first. Thomas Larcher’s ensemble piece, Nocturne-Insomnia, was written in 2007-8 and revised in 2017. Its two parts correspond audibly and meaningfully to the two words of the title, so much so as to offer something not so very different from a post-romantic tone poem. We heard a keen ear for harmony and how to make broadly tonal harmonies sound once again new(ish). What one might have expected to sound commonplace here sounded hard-won, the first part strangely reminiscent of a Bruckner Adagio. The music wound down, as it had, in retrospect, wound up, leading us far from what we had been led to expect, insomnia upon us. Even the coda of apparent sleep at the close, high string harmonics and accordion, sounded provisional, ready to be disrupted. Larcher’s piece received, for me at least, the most compelling performance, Mahler’s Das Lied von der Erde only intermittently convincing, let alone moving, until the great final movement. The ferocity of the opening took me by surprise, although it was probably more a matter of the congested Barbican acoustic than anything else. Stuart Skelton had no difficulty making himself heard in this ‘Trinklied vom Jammer der Erde’, although his performance here and elsewhere was not without effort. (I suspect he may not have been well.) There was, rightly, bitter anger to be heard at times, for instance when he told us of the ‘wild-gespenstische Gestalt’ amongst the graves. At any rate, his diction was excellent, set against admirable orchestral clarity from the BBC SO and Oramo. The orchestra sounded as if framing a finely-etched painting in ‘Der Einsame im Herbst’. Set against the fine burgundy pinot noir of Elisabeth Kulman’s mezzo, all that lacked was a sense of the orchestral moments of painting coming to life, of movement rather than a frieze. It is autumn, after all, not winter. The third movement, ‘Von der Jugend’, would have benefited from greater charm, however ironic, though its chinoiserie was piquant enough. By now, alas, Skelton seemed all too audibly to be struggling. Oramo’s stiffness of gear change in ‘Von der Schönheit’ sounded strange, as did the blatant vulgarity of the brass sound (again, perhaps partly the fault of the acoustic). It all sounded a little too close to Shostakovich. The more overtly inward moments of ‘Der Trunkene im Frühling’ fared better, the rest oddly unsettled. Nevertheless, the darkness of the opening to ‘Der Abschied’ sounded a necessary note of fatal certainty, at first a sharper-etched successor to the fourth movement of the Third Symphony, before proceeding along its own, very different path. The brook, ‘der Bach’, suggested a now unattainable Beethovenian pastorale: our glance back towards something no longer possible. If balances were often less than ideal, there remained something plausible to the alienation that even that elicited. At last, I realised what had truly been missing (as well as a better hall): a sense that this was symphony as much as song cycle. It was too late for that really to be put right, but the close, from that long orchestral interlude onwards, vouchsafed a taste of that richer alternative. 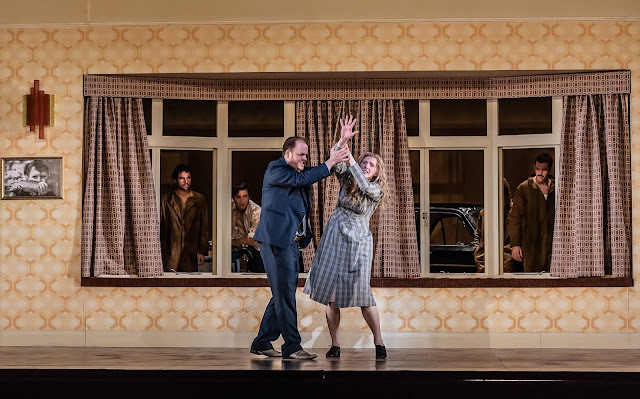 The Royal Opera House’s choice of work for the first new production in the splendidly redesigned Linbury Theatre – not unreasonably, it seems to have lost ‘Studio’ from its name – is, perhaps, a declaration of intent; it may certainly be received as such. Not only is it a new work; it is billed specifically as ‘our first opera for teenage audiences’. Following somewhat in the line of Mark-Anthony Turnage’s Coraline – last year’s premiere for children – Gavin Higgins’s The Wondrous Child, to another libretto by a children’s author, this time Francesca Simons, seems to me to have a good chance of prospering not only in that specific role, but also more generally. 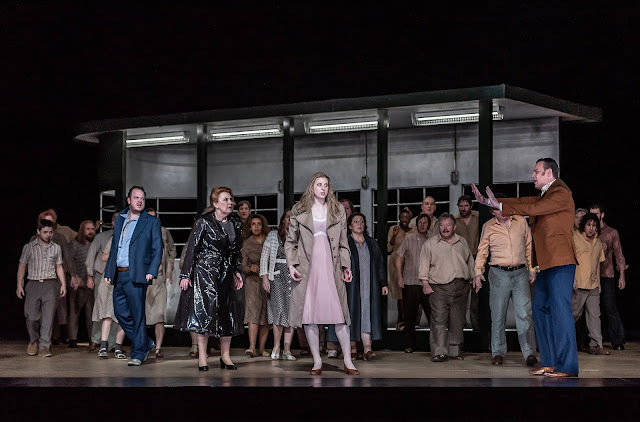 It is certainly a successful first opera – from the Linbury, from Higgins, from Simons, and indeed from the production team and performers, without which any single effort would likely come to naught. 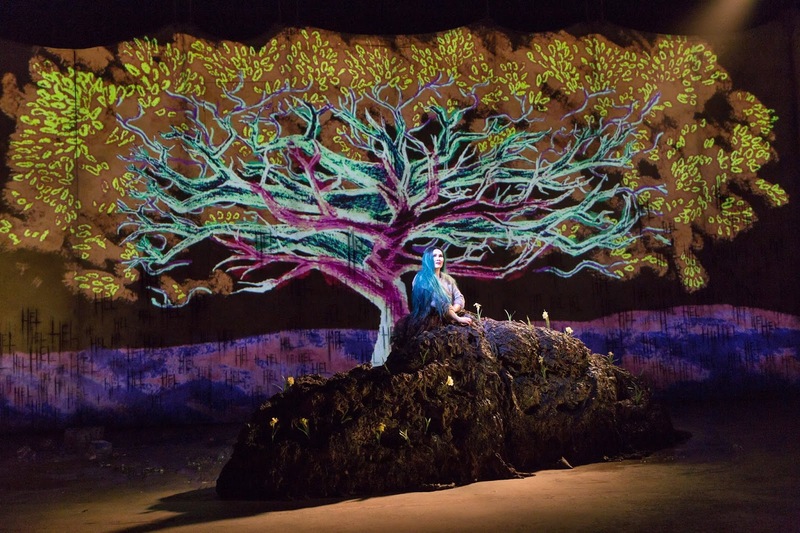 Opera, we were reminded, is above all a company effort – which should, of course, include the audience too. Let us hope, then, that plenty of teenagers were among those who were able to secure tickets before the run sold out; and/or that further tickets will be released, as often happens in practice. 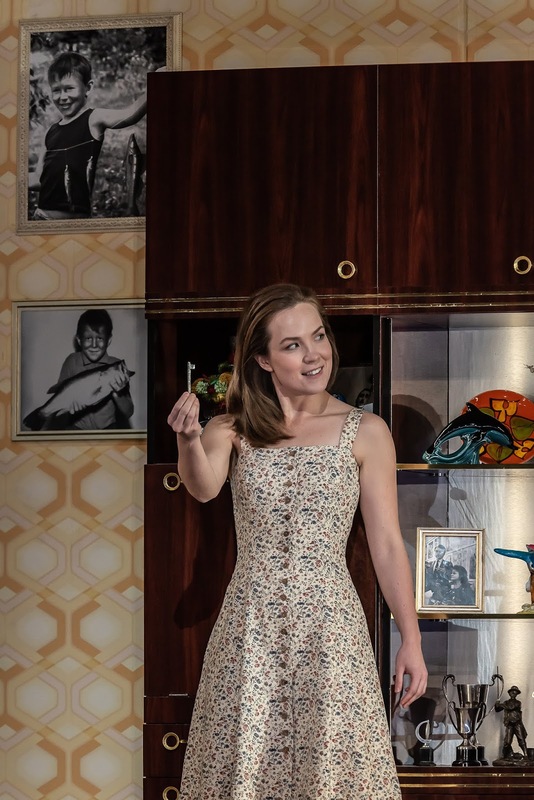 Many – though perhaps not so many of us on the first night – will doubtless come to the opera through Simons’s book ‘of the same name’, as Peter Cook and Dudley Moore might have had it. 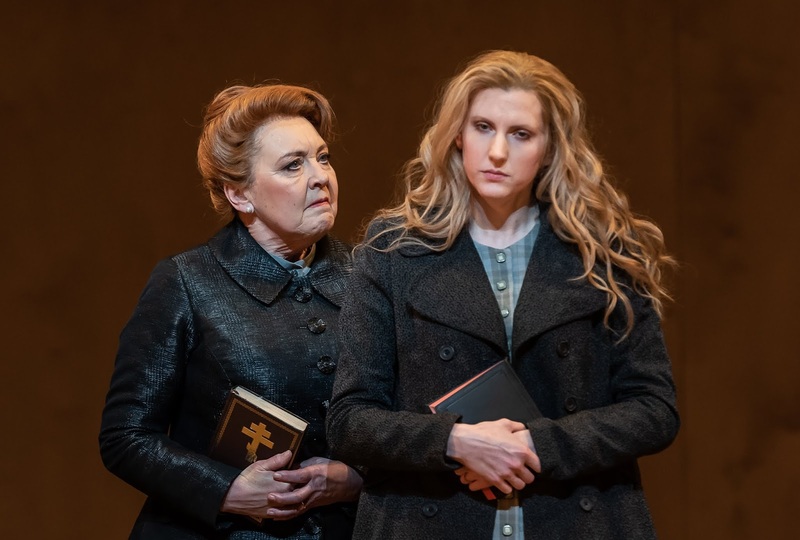 Not that there is anything of ‘Little Miss Britten’ here; for not only is the plot drawn from Norse mythology, from the myth of Hel, goddess of the dead; the libretto is distinctly on the Anglo-Saxon and perhaps even the Norse roots of the English language. Had his English been better, Wagner might have lauded the lack of Latinism. 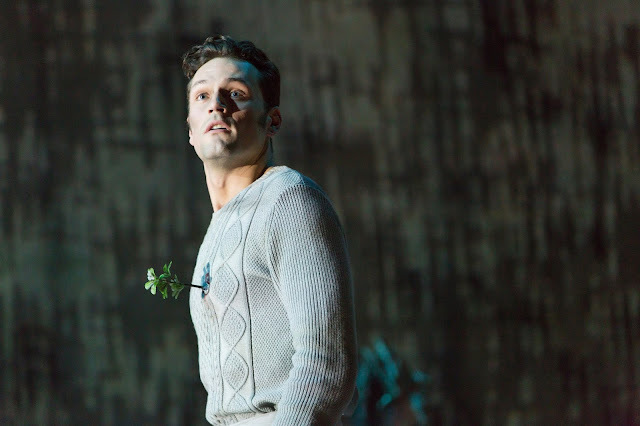 The immediacy, not to mention the ‘earthiness’ of some of the vocabulary make particular sense in a primaeval realm – and will surely appeal to teenagers of all ages in the audience too. To a certain extent, staging and score work with that, performances perhaps still more so; they also recall (to us), however, consciously or otherwise, that we are no more Anglo-Saxons than we are Norse gods. The false immediacy of which Wagner could occasionally – very occasionally – prove guilty in theoretical, though never dramatic, writing stands always in need of puncturing in our modern condition. That is not a value judgement, simply an observation. Simons knows that as well as Higgins, as well as by director, Timothy Sheader and his team. 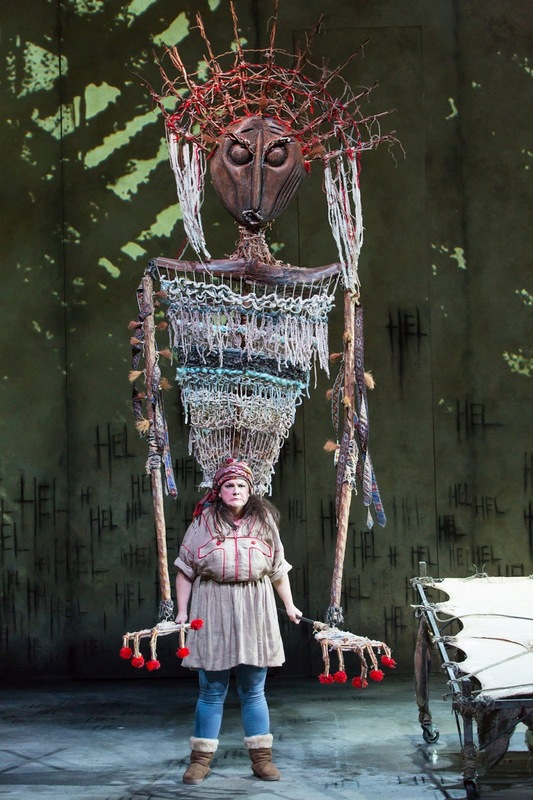 And so, we are reminded by the puppetry in the first half of the staging, actors and singers lightly detached – this is not The Mask of Orpheus, nor does it try to be! – from their characters in some cases, as well as by Hel’s narration of that first part, the later character recounting the deeds of the child-puppet her, that even in – particularly in – a drama dealing with (supposedly) eternal gods, time plays a mediating role. Again, Wagner of all musical dramatists could have told us that – and does. Higgins offers much in the way of readily associative and memorable leitmotifs in his score, as well as plenty of ‘atmosphere’ and ‘action’, after a fashion that would surely make sense to teenagers – and others – accustomed to the ways of film scores, without ever sounding ‘like’ film music. Video and electronic sound help us shift between locations, for instance from the gods realm in the skies to the place of Hel’s banishment, from which she will bring about the end of the gods’ rule. Leaving aside the (understandable) exaggeration about what opera ‘is’, for it can be any number of things, one knows what Simons means when she writes in the programme: ‘It took me a while to understand how different writing a libretto is to writing a novel. 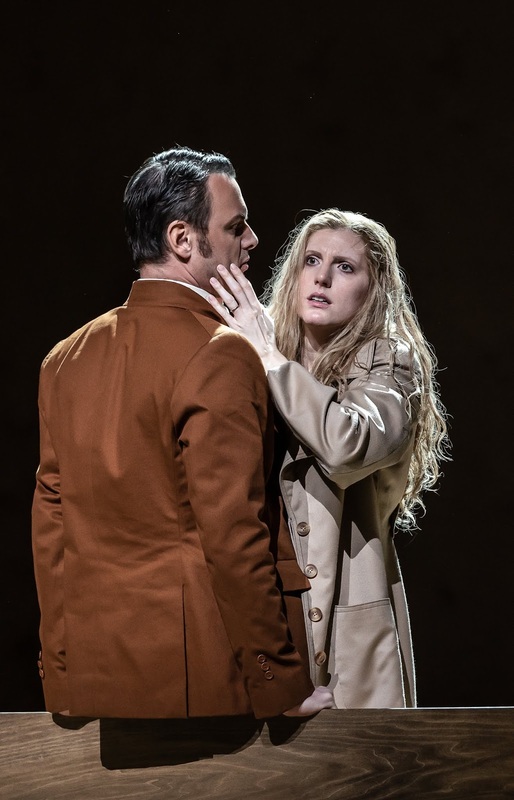 Opera is much more direct: people say what they think – repeatedly. Opera is so heightened, it really is the perfect way to express the emotion and epic sweep of myths about gods and giants, love and hate, as well as a young girl’s journey towards creating her own life.’ To my mind – and increasingly on reflection – Simons and Higgins achieve this with great success here. Pacing is different too; the analogy Simons draws with a picture book – ‘the words need to allow space for the illustrations’ – is interesting. Again, one senses a true collaboration: between librettist and composer, of course, but also with the production team and performers. Marta Fontanals-Simmons gave a fine performance as Hel: half human, half corpse. Never sentimental – she does not want mere pity – she involved us in her plight, her hopes, her decision through sheer force and variety of vocal personality. Rosie Aldridge and Tom Randle impressed and (not a little) repelled as her parents: those who cursed her and ultimately the world by bringing her into it. Lucy Schaufer proved typically compassionate as the giantess Modgud, keeper of the bridge to Niflheim and the dead. Odin, king of the gods, received a sharply observed performance from Graeme Broadbent, taking us plausibly from hauteur to downfall. Dan Shelvey’s Baldr, as carefree and compassionate in tone as the lovelorn Hel thought him, offered a performance both delightful and moving. The Aurora Orchestra and Jessica Cottis could hardly have offered surer advocacy in the pit. An evening of French delights from Simon Rattle and the LSO? Certainly, even if some – not necessarily those one might have expected – delighted more than others. First among not-quite-equals stood the earliest and latest works: a dance suite from Rameau’s Les Indes galantes and a parallel Little Summer Suite, composed in 2015 by Betsy Jolas for Rattle and the Berlin Philharmonic. One silly, at least borderline offensive, newspaper ‘article’ and a host of tedious imitators notwithstanding, Betsy Jolas and her music have not recently been ‘discovered’. Her music deserves to be better known, more frequently performed; that, however, is a different matter entirely. The best response to such nonsense is to do what Rattle and the LSO did here: perform it – and perform it with such excellence. Seven vividly etched miniatures abound with echoes and correspondences, but does not all music when one is acquainting oneself with it? A few Messiaenesque harmonies, even the odd marriage of rhythm and instrumentation recalling Boulez’s Notations, speak not of overt ‘influence’ but perhaps of kinship – and what kinship. The scoring is much sparer than that for the latter. Although the orchestral forces are relatively large – certainly not so large as Boulez’s – the writing is more often ensemble-like. Four of the movements echo – consciously, I presume – Mussorgsky’s Pictures at an Exhibition. ‘Strolling’ movements – ‘Strolling away’, ‘Strolling about’, ‘Strolling under’, and finally, ‘Strolling home’ – they offer continuity and connection; a dark, menacing, almost nineteenth-century Russian bass suggests that honoured predecessor, before taking in Ligetian ‘Knocks and clocks’, responsorial (to that) ‘Shakes and quakes’ and similarly post-liturgical ‘Chants and cheers’, suspended, it seems, in musical mid-air. Succinct, witty, with a nonchalant sign-off suggestive, as noted in Jeremy Thurlow’s booklet note, of Debussy’s Jeux, one was left wanting more, yet admiring of the taste and judgement that had the music end when it did. The very opening of Jolas’s suite had, at least in context, intriguingly echoed the chains of Rameau’s opening ‘Air pour les esclaves africains’. If Rameau’s (relative) battery of percussion veered in danger of the wearisome, taken out of dramatic context (for a review of a Munich performance of the entire work, click here), the relief of such enlightened Baroque music-making was eminently worth the slight wait. Each of the five movements danced with colour, grace, and a refreshing lack of doctrinaire ‘authenticity’. String vibrato was withdrawn at the opening of the ‘Air pour l’adoration du soleil’, but with good reason, that anticipation prefiguring sunrises in Haydn (both The Creation and The Seasons). The most celebrated number, the ‘Air pour les sauvages’, proceeded with splendid swing. It may be problematic to our postcolonial minds, yet it is far from unprogressive by Enlightenment standards. The closing Chaconne stood, rightly, worlds away from our one-sided notions of the dance, too influenced by Bach and his Romantic successors. The world of Les Indes Galantes, not unlike the Tiepolo frescoes for the stairwell of Würzburg’s Balthasar Neumann Residenz, present a Eurocentric world, to be sure, but one that attempts to embrace, even in small way to elevate, other cultures as surely as did Montesquieu and Voltaire. Trumpets and drums rejoiced, without effacing a tenderness that spoke both to Rameau’s age and our own. For all Rattle’s evident, longstanding belief in ‘period’ performance practice, this did not sound so very distant from the Rameau of forebears such as Raymond Leppard and Jean-François Paillard – and was all the better for such kinship. Daniil Trifonov joined the orchestra, post-Rameau, for Ravel’s G major Piano Concerto. He appeared transfixed at the opening. Whose spell? Ravel’s or his own? It was unclear, as was much of the rest of his performance. There were delights aplenty in such pellucid pianism, but much of the first movement was indulgent, lacking line and, on occasion, connection with Rattle’s – and the LSO’s – able accompaniment. Harp-led washes of sound were duly gorgeous, likewise woodwind solos seemingly harking back to the Rameau we had just heard, but Trifonov appeared oblivious, pursuing instead, so it seemed, his own rêveries. The slow movement nevertheless proved bewitching. Here, Trifonov’s exquisite modulation of dynamics, silken touch, and above all, endlessly long-breathed phrasing were quite the match for Ravel’s not entirely un-self-regarding writing. There was here a chamber intimacy, pent up with emotion that never quite dared speak its name that revealed darker undercurrents than I can hitherto recall: a tragic Tombeau de Rameau composed before our ears. If only the first movement and an often oddly-balanced – at least from my seat – finale had matched such extraordinary music-making. Still, Trifonov’s closing exuberance reaped its own rewards – even if he again occasionally parted company from the orchestra. What I believe to have been his own transcription from Rachmaninov’s cantata, The Bells, made for a richly exploratory encore. Poulenc’s Les biches, here given in suite form, has its admirers. Love much of Poulenc’s music though I do, I cannot help but find much of this ballet music somewhat thin gruel. At any rate, it is very much a period piece. Rattle and the LSO did what they could to point up Stravinskian correspondences, the opening of the ‘Andantino’ very much a case in point, likewise the Pulcinella-like writing of the ‘Final’. (If only the latter benefited from Stravinsky’s – and Pergolesi (attrib. )’s – concision. At its best, for instance in the opening ‘Rondeau’, there was a charming air of an imaginary vieille France: not Rameau’s, but why should it be? Ravel’s La Valse proved a similarly mixed bag: not, of course, as work, but as performance. Rattle certainly captured the dark strangeness of the opening, likewise a later, hallucinogenic nausea to the strings. I was less convinced, though, by the driven, almost vulgar quality to climaxes and other passages. A militaristic subtext? Perhaps; this, however, sounded close to Shostakovich. An odd performance, discontinuities to the fore, was played as well as one would expect; it certainly had me think.